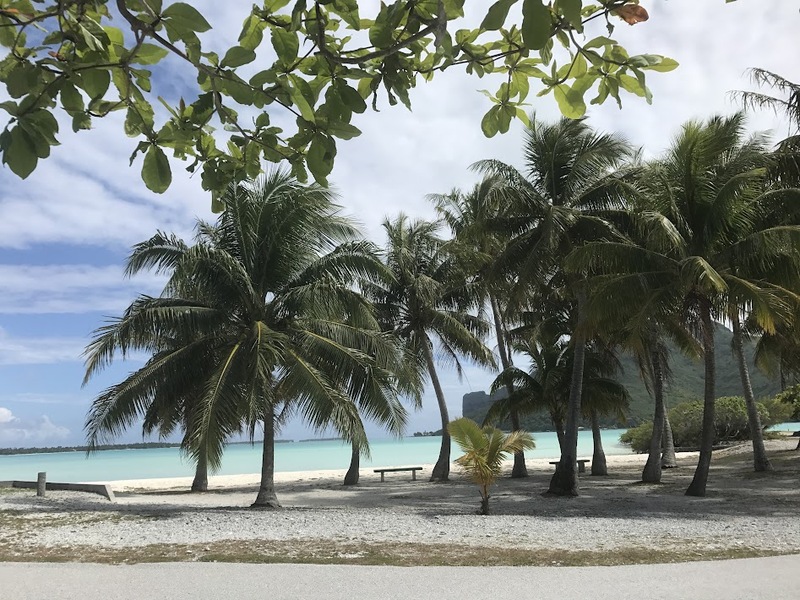 Day 58: From Paradise to Paradise Jr. Sadly, the day had come to leave Bora Bora. I ate my feelings over breakfast and off we went. 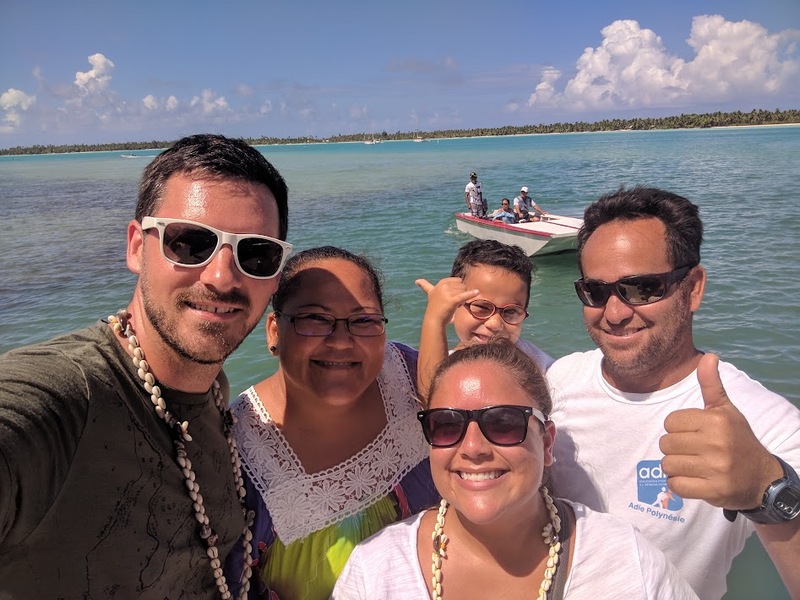 Fortunately, we were on our way to another one of French Polynesia’s beautiful islands – Maupiti. 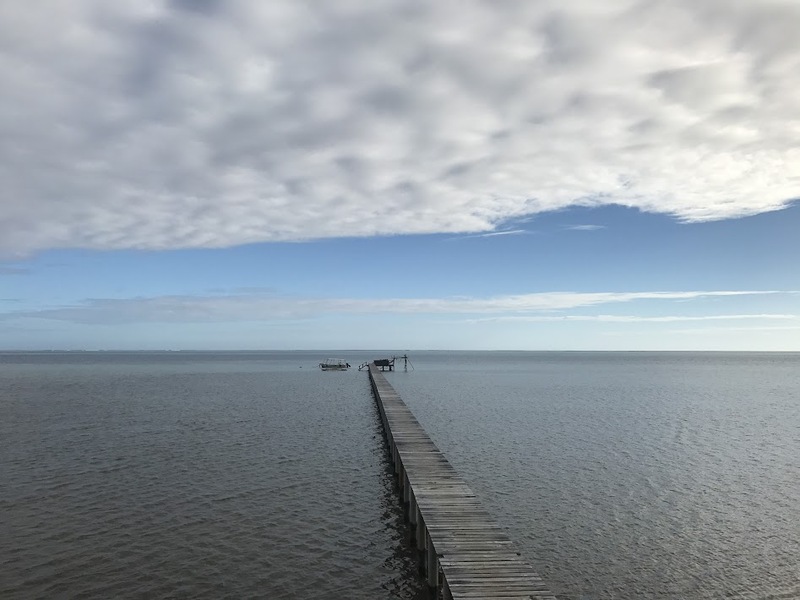 Most people have never heard of this island given its much more famous counterparts, but this place is just as gorgeous. It took two flights (each approximately 10 minutes long 😂) to get there, but it’s totally worth it. 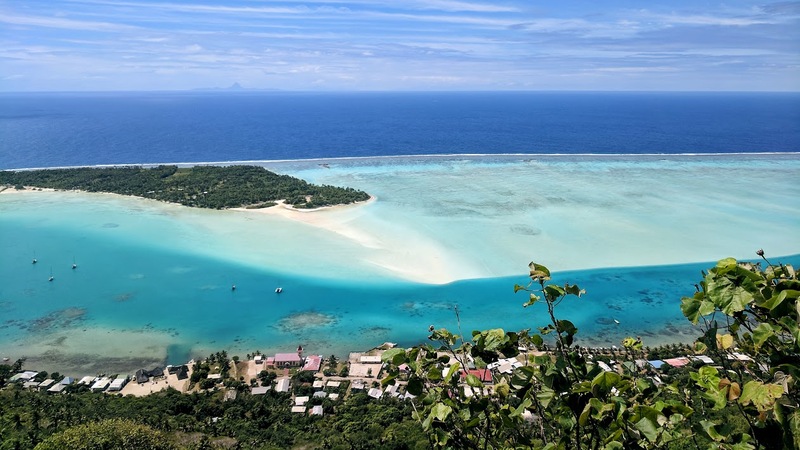 This island is much smaller (Bora Bora has a permanent population of ~10,000 people, Maupiti has a population of ~1,200), and thus much more quaint–no big hotel chains here, only B&Bs. 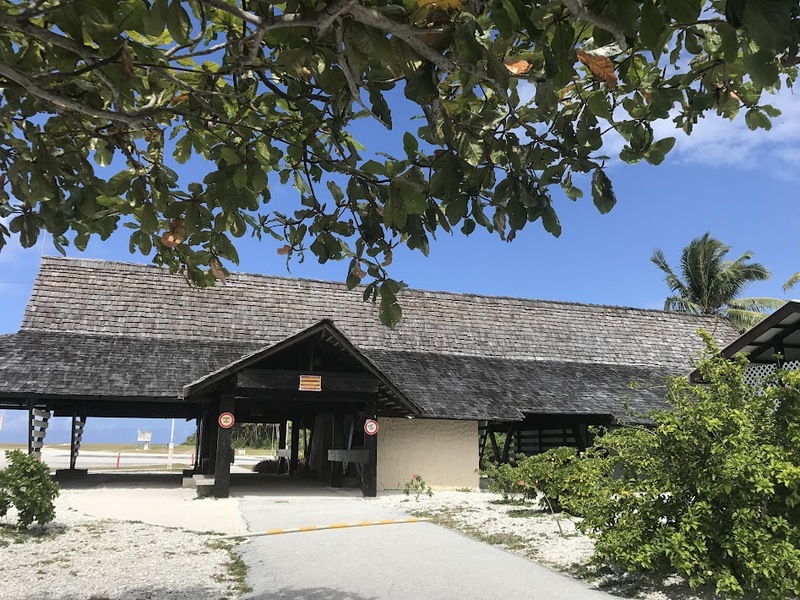 We picked Pension Tautiare and I think got a great deal in the end. 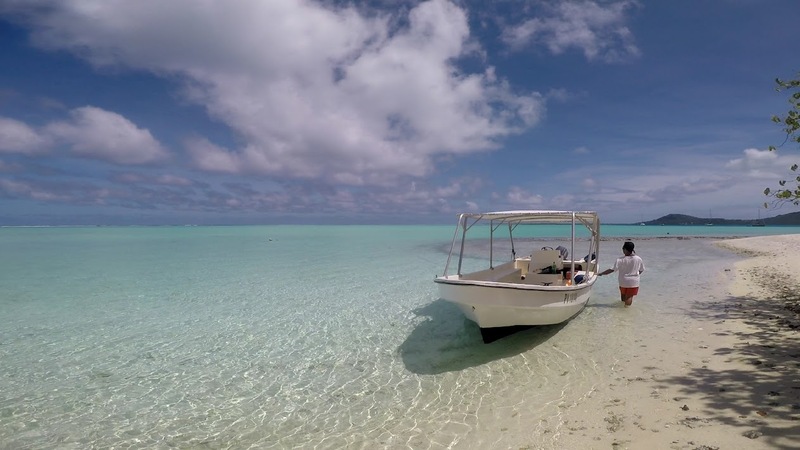 Once we arrived at the Maupiti airport (which is literally a runway, a small booth for checking luggage, and a few benches under some palm trees), we took our boat shuttle to the main island where our B&B hosts would be picking us up. Can I just say that the boat shuttle was one of the funniest experiences of my life? It’s a tiny boat that fits maybe 10 passengers plus the 2-3 crew members, but on top of that, it serves as a cargo ship. 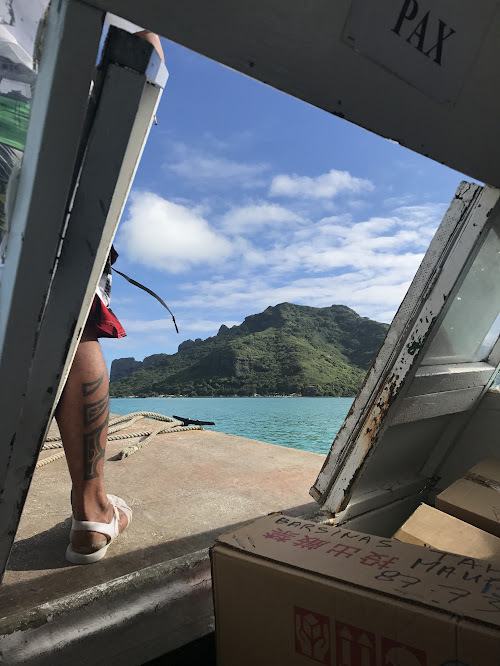 That’s right, since Maupiti is so remote and only has flights coming in a few days a week, mail/cargo is put on passenger planes and delivered to the main island by the airport boat shuttle. 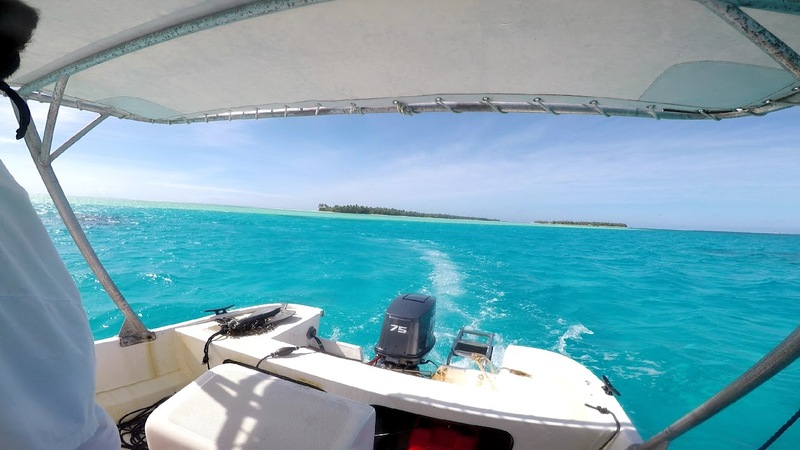 So here we are, on a tiny boat chock-full of passengers and luggage, and then the crew starts dragging in box after box of stuff, from bicycles to adult diapers. The fact that the boat didn’t sink is a miracle. That said, even if it did, the water looked so shallow I probably would have survived. After an early breakfast, it was time for a boat excursion organized by the B&B. 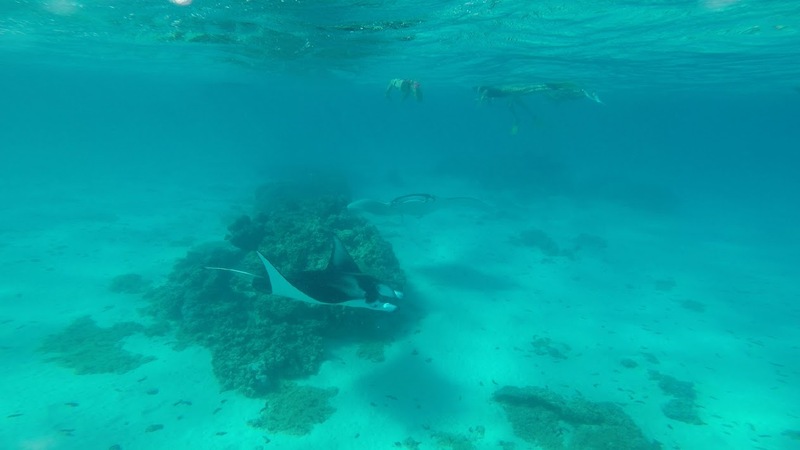 First up was snorkeling. 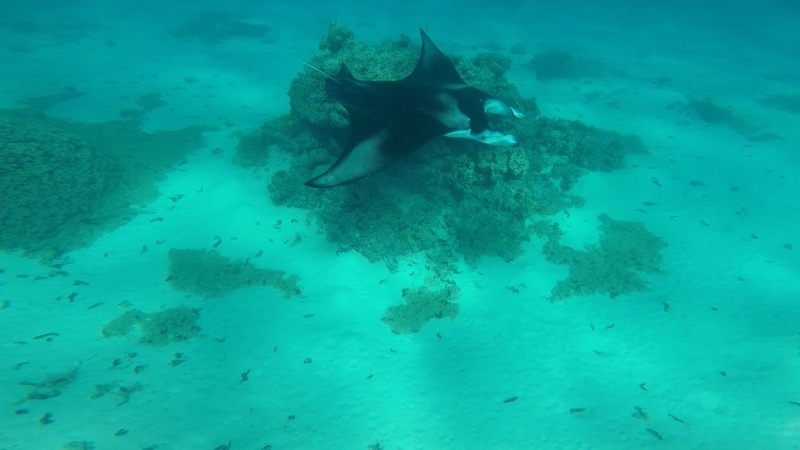 I imagine the first spot we went to must be known for the manta rays, because I can’t fathom it being a coincidence that we jumped in the water and were right above two massive manta rays–bigger than I’ve ever seen. I’m not sure the pictures do them justice. 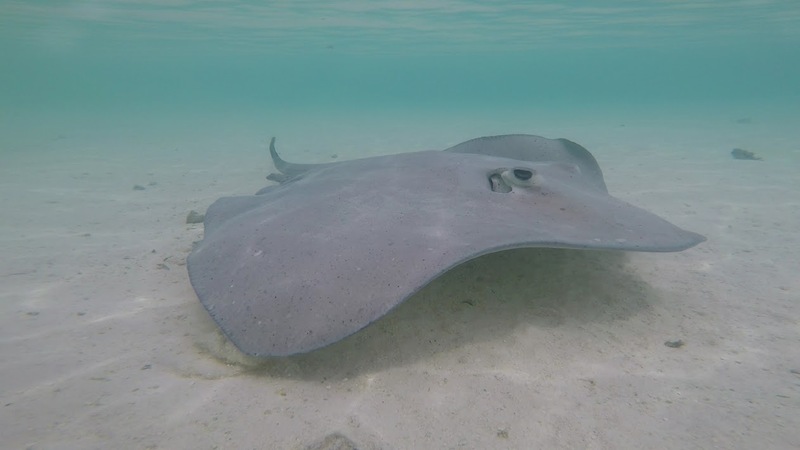 We snorkeled at another spot after that but really, what beats giant mantas? 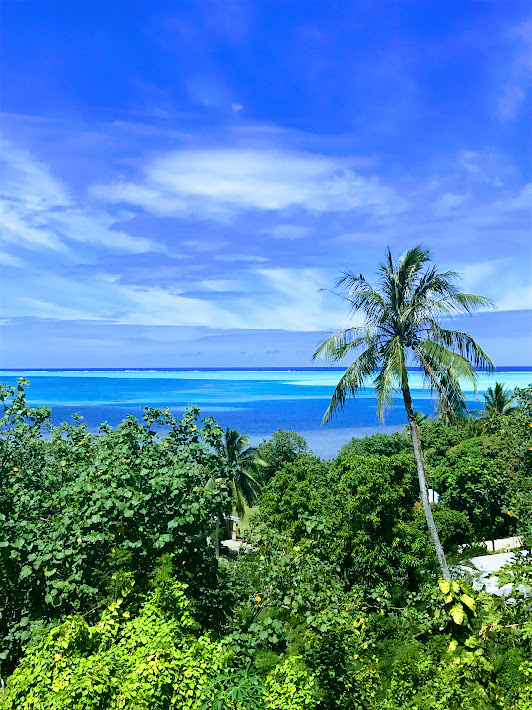 We ended up getting a slight tour of the island and its atolls as we made our way around to our lunch spot, and the colors of the ocean were just as gorgeous as in Bora Bora. How are these places real? 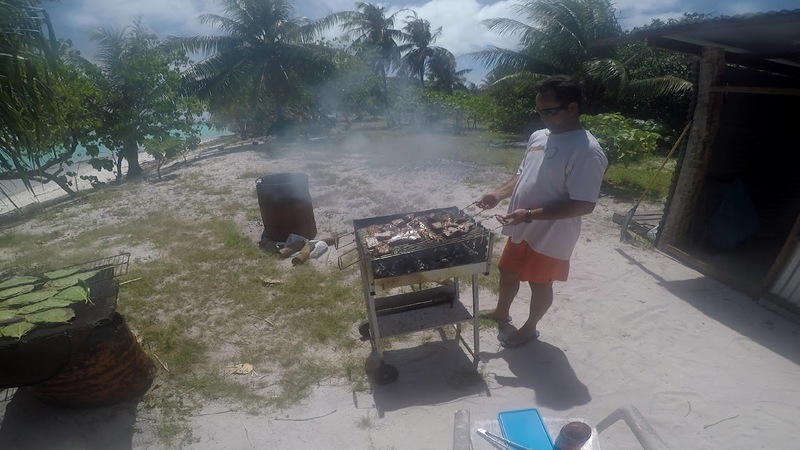 Eventually we made our way to an uninhabited island/atoll of Maupiti for a little beach BBQ action. Once again they were very gracious and made me a small non-seafood portion that I thoroughly enjoyed, and I’ll even admit that the fish looked good. The host made this coconut-type bread in some kind of leaf on the grill and OMG 😍 I would eat that bread every day, with everything. Beach BBQ time–note the leaves on the left holding the most wonderful bread ever. After a beach nap and some more swimming, eventually we headed back for the B&B for a relaxing night. 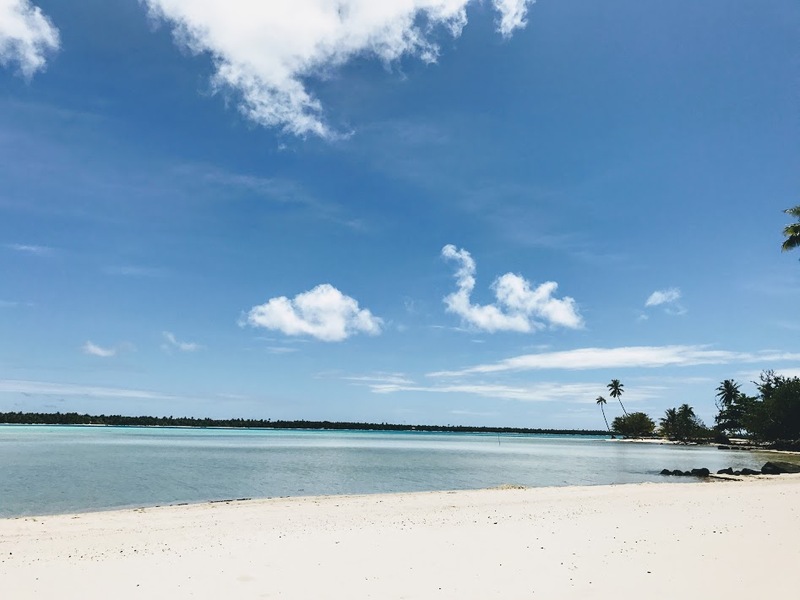 Eventually I found the beach and forgot the torture of getting there–the sand was pristine, the water totally clear and only knee deep all the way from the coastline to the next island/atoll (no seriously, you can walk across the ocean from one island to the other). I say it again: how is this real life? Ben found me a little while later (we had no cell service in French Polynesia at all, so I had left a note in our B&B room hoping he would find me the old fashioned way…walking ’til you find the person you’re looking for), and we had a leisurely lunch and cheap beers from a little beach hut. Eventually we made our way back to the B&B, this time via the shoreline route, and had yet another relaxed night in. I was truly made for #islandlife. 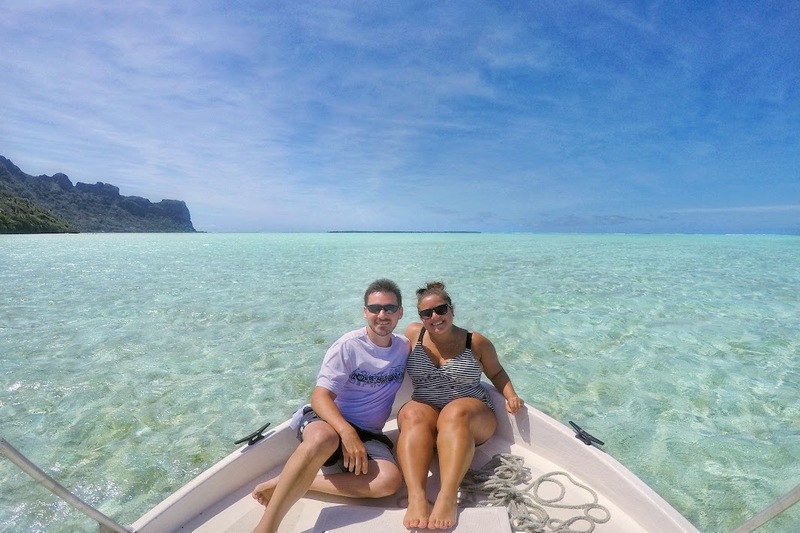 We had an early afternoon flight to Tahiti, so we had a leisurely morning at the B&B. 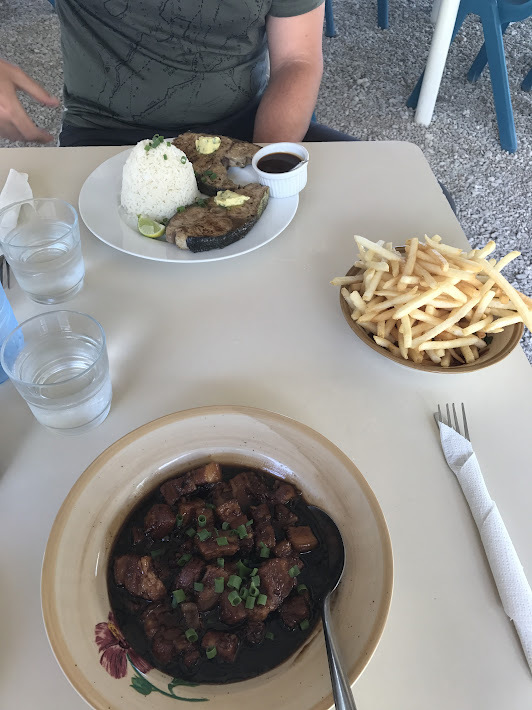 We did manage to grab lunch at the one and only true restaurant on Maupiti before leaving–success! Our hosts dropped us off at the dock for our boat shuttle back to the airport–sadly this boat ride was not nearly as funny as the one on the way in since there wasn’t any cargo…oh well.